I'm a bit obsessed with my new Gelli Plate. 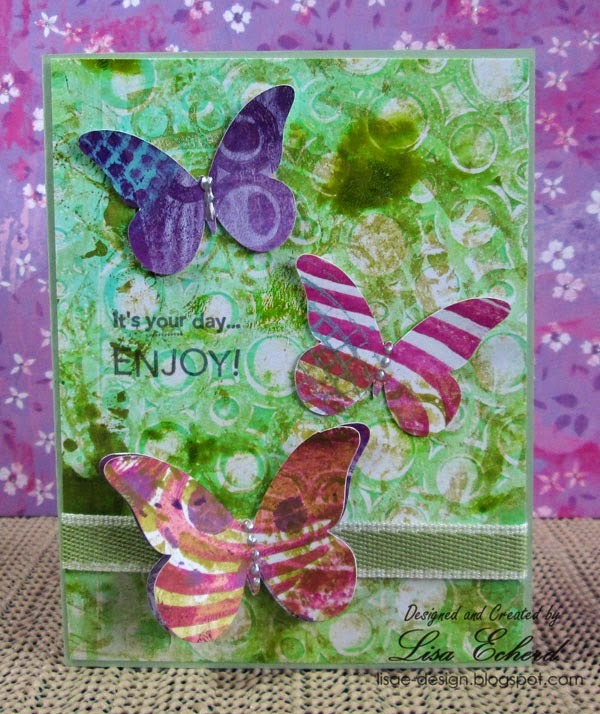 Somehow I found Gelli Arts through Facebook. I'm not a big fan of Facebook but they posted such beautiful projects I started following them. I didn't know what a Gelli Plate was, envisioning a machine of some type. 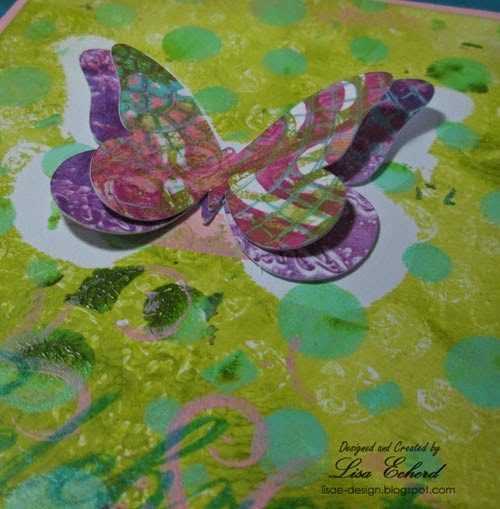 It was several weeks before I started watching YouTube videos on how to create prints with the Gelli Plate. I was quickly hooked and had to have my own. The Gelli Plate is a gel pad. It is a flexible surface that isn't mechanical in the least. You apply paint, use various tools to make impressions in the paint or remove some of it and then press down paper on top. When you lift up the paper you have a design. You can stop there or repeat with more layers. Sometimes, oftentimes, you get surprises. I am keeping a drawer full of my prints and flip through it when I start a page or project to see what I can use. Sometimes I use the Gelli plate to print for a specific project. For these cards, I did some prints specifically for them and others were part of the stash. I'd like to do some videos on this fun tool. I've started with a 2 part-er to show what kind of prints you get on what mediums and what you can do with them besides art journaling. 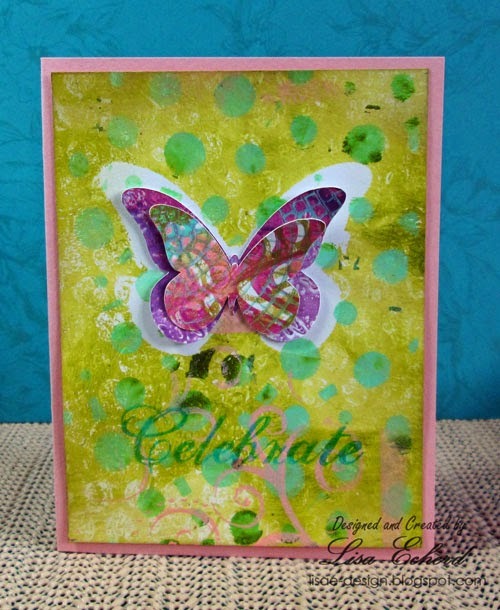 I think many people use their Gelli plate for art journaling but I am using it for cards, scrapbook pages and mixed media canvases. The 2nd video is more on technique. I labeled it a Do's and Don't's video as there were several things I discovered in these early days of using the plate. There are a lot of great how to videos out there as well. There is much more to learn with this fun tool. I've certainly had my $30 worth of fun already and look forward to more. Look for more videos and gelli prints on future projects. I have seen a few of my friends from YouTube use these gelli plates. They look like a lot of fun to play around with. Beautiful, I love what you've done with the butterflies! Oh my. Looks like another purchase is in my future! Thanks for the great demo on the Gelli plate! The look is fantastic.